Exploding Pyrex glass bakeware is no urban myth. It happened to me. I grabbed a perfectly good 9″ x13″ rectangular baking dish from the stovetop, where it had languished for several hours after producing a pretty tasty Sunday dinner of apple baked pork chops. I put the room temperature dish under warm running water, like I’ve done many times before, and set to scrubbing with one of those non-abrasive plastic sponges. Without warning, the Pyrex shattered like a gun going off — sending chunks and splinters of razor-sharp glass all over me, the sink, the room. One hand started to bleed. Barefoot, I dared not move and called for my husband’s help. I was stunned. 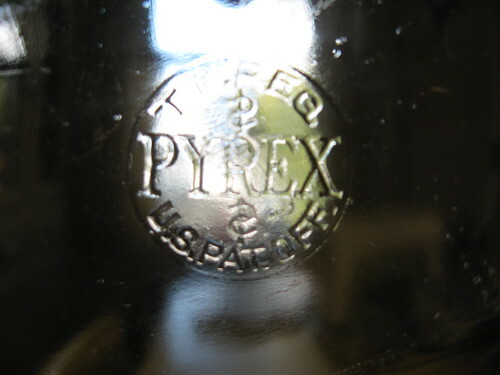 I’ve used other Pyrex pieces for 2o years. No problems. On this day, one minute I was washing a piece of Pyrex purchased new less than a year ago at the local Target. The next, BOOM! My clothes were covered with glass. Fine fragments sprayed my face. If I’d blinked any slower, that baking dish might have been the very last thing I ever saw. Life is unpredictable. No matter how much we’d like to think we have things under control, in a mundane moment, in the proverbial New York minute, everything can change.